Picture this: You don’t know the result of the lab test yet. The last thing you heard your doctor say last week was: Hm, this doesn’t look good. Doesn’t look good at all. Unfortunately, I can’t give you much hope. Now, you are driving on the highway on your way to the doctor’s office to find out the results of the lab test. Because you don’t know the results of your lab test yet (which actually show that you are completely healthy, and even fitter and healthier than other people your age), you are plagued by fears and worries. Paralyzed by fear and deprived of strength and joy of life, you sit there watching the world go by outside your window. This happens to so many believers in Jesus. They are offered countless lies by devils and demons, pick them up and think through every terrible scenario that could happen. But this is neither good nor right. Because since accepting Jesus as our Savior, we are blameless and holy before God (Colossians 1:22). There is no longer any condemnation (Romans 8:1) for a Jesus-believer. 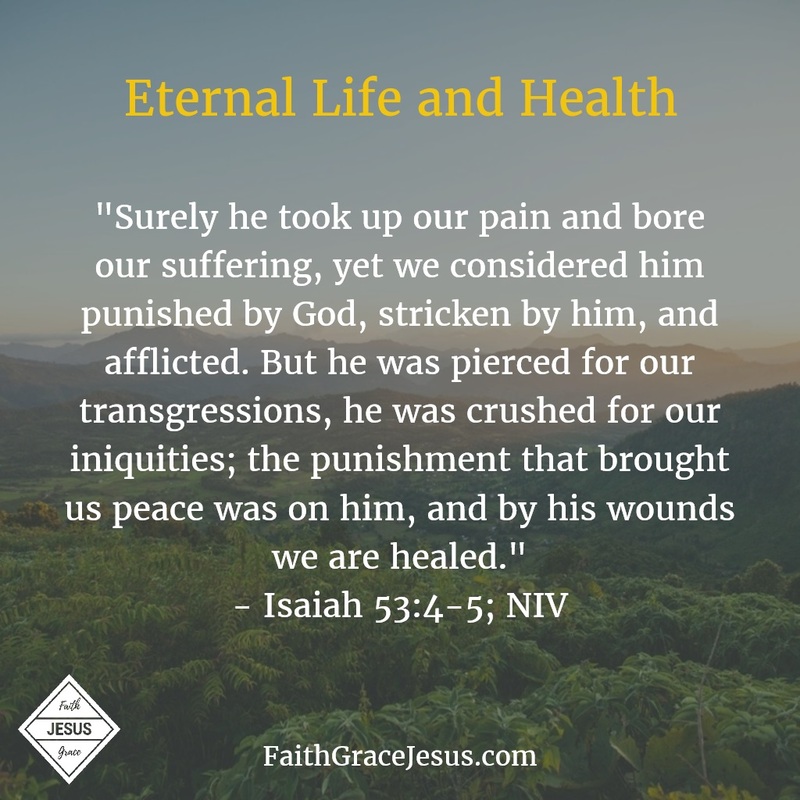 Because of the sacrifice of Jesus for us, God no longer thinks of our transgressions and no longer sees our sins (Hebrews 8:12; Hebrews 10:17); it was bad enough seeing all of our dirt and shame on Jesus on the cross about 2,000 years ago. 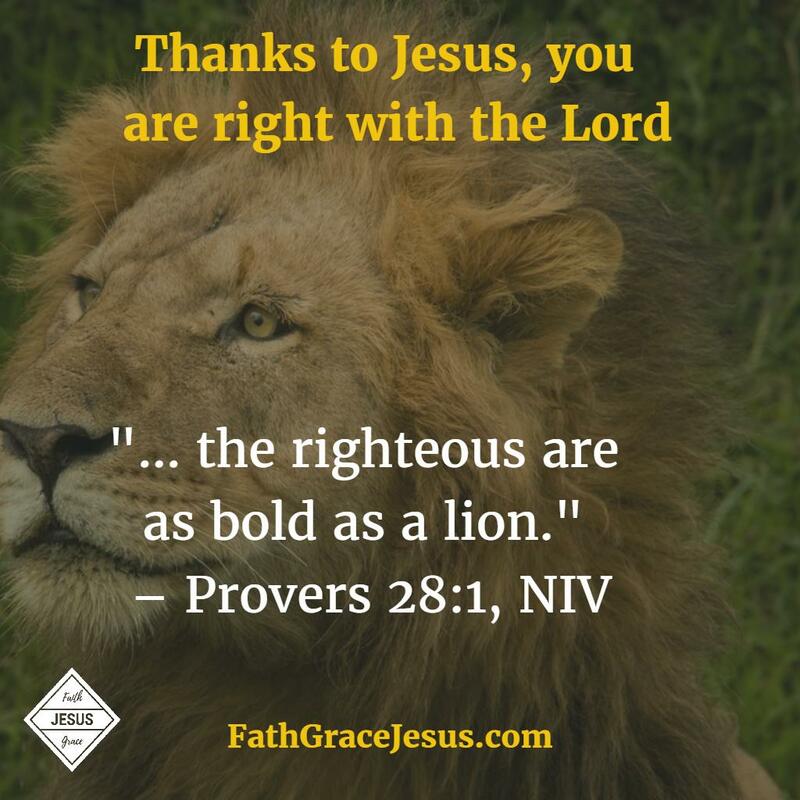 Now we are blameless and righteous before God. No more accusation. So renew your thinking. Every day, be conscious of your identity (which was paid for by Jesus) as a righteous and holy saint before God. Remember that your mistakes, transgressions and sins are no longer between you and your loving heavenly Father. Why do you want to be sad? Why do you want to be continue being plagued by guilt, sickness and lack? What place do you want to give to fear, worry, and panic attacks in your life? Enjoy your complete and irreversible reconciliation with God. Begin to believe the promises of God and Jesus from the Bible. Becuase this is what you can expect as a righteous saint: God’s comprehensive, material as well as spiritual blessing (Mark 10: 29-30, John 10:10). Fear and doubt vanish and strength, courage and confidence take the place once filled by worries and guilt. Thanks to Jesus, you are a new creation in your true self, your spirit, created in God’s image. In the growing awareness of your true identity, you will use your faith to tell your soul as well as your body how to line up with God’s promises in His Word.